Asus at an event today announced two products for the Indian market. The first one is a Transformer Book T100 that has a detachable keyboard, enabling users to use the device as a conventional notebook or a tablet. Asus says the Transformer Book T100 is one of the lightest devices around that weighs 1.07kg with the keyboard and 550g when used as a tablet. The 10.1-inch Transformer Book T100 is powered by Intel’s Atom Bay Trail Z3740 processor and comes with Windows 8.1 OS, 1388×768 HD IPS display, dual-band Wi-Fi, Bluetooth 4.0, USB 3.0 and 11 hours of battery life. The device is also equipped with Asus technologies like Reading Mode that optimises the screen for reading, Instant On to wake from standby in an instant even after 2 weeks of standby mode and SonicMaster audio technology. The Transformer Book T100 will be available in India from next month for Rs.34,099. 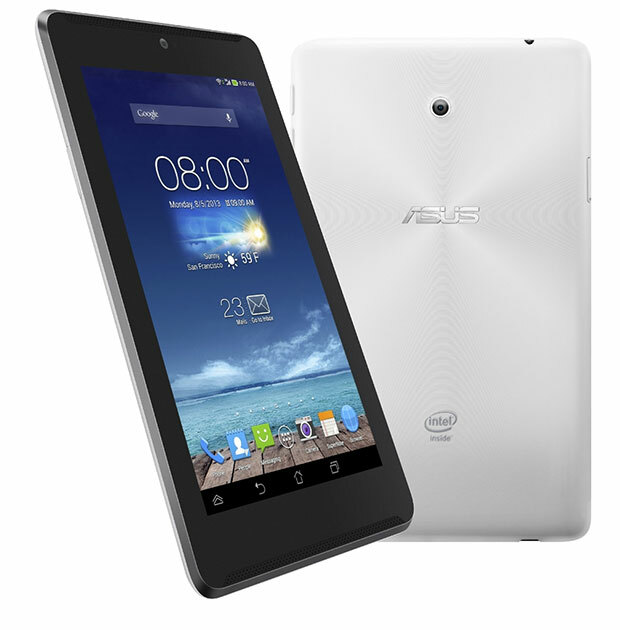 Asus also announced the improved Fonepad 7. This Android device now features a non-slip finish and a faster HSPA+ 3G support up to 42Mbps. The 7-inch tablet offers full voice calling functionality and features Intel’s Atom Z2560 processor, Android 4.2, 1280×800 display, dual-front speakers with SonicMaster audio suport, 5MP rear-facing and 1.2MP front-facing cameras, full HD video recording support, Miracast, 16GB internal memory, microSD card slot and 3950mAh battery. The Fonepad 7 ME372CG will be available in India at Rs. 17,499 in November.